If I ever make any Warriors art, I'll post it here! 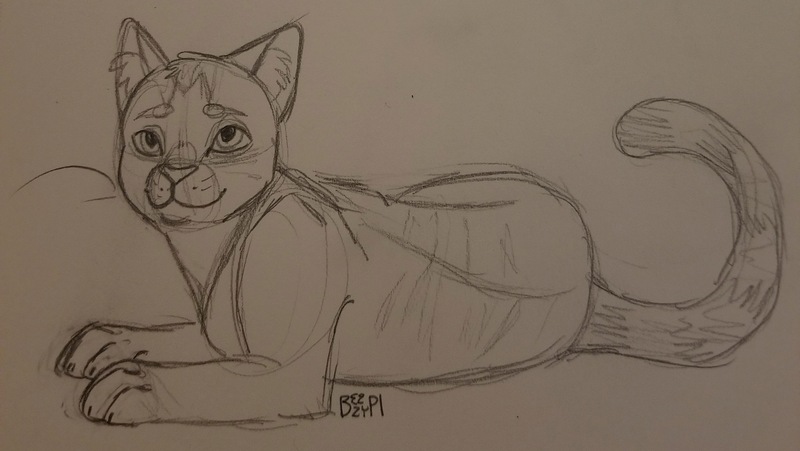 I haven't drawn any kitties in a while so first up is a quick sketch I did of my character Sagekit when he's a little older, apprentice aged. Enjoy!